This article originally appeared in the December 2018 magazine edition of Australian Aviation. The car park of one of Australia’s most ubiquitous fast food outlets is a somewhat unusual venue to make a point about aircraft noise. But then this particular KFC is close to the threshold of Sydney’s busy Runway 16 Left and, with a mobile phone flight tracker app to hand and a fascinated audience in attendance, why not? First a Boeing 737, then an Airbus A320 followed closely by an A330 – all sufficiently loud to make any self-respecting aircraft watcher know they are alive – and suddenly, fourth in line, the star of the show: a whispering Gulfstream business jet. The relevance: for that group of Japanese representatives working earlier this year on preparations for the 2020 Olympics, a small but important “real life” experience in their fact-finding mission to Australia about the implications of an exponential increase in business aviation traffic. For Bell, chief executive of the Australian Business Aviation Association, another small point made in his organisation’s continuing, often frustrating, head-to-head struggle with regulators over what he sees as the contradiction between maximum takeoff weights and noise, post-curfew at Kingsford Smith and pre-curfew at Melbourne’s Essendon. His point: thanks to more efficient engineering, some of the newer, larger and heavier business jets, precluded from operations at certain times, are much quieter than their lighter-weight predecessors and peers. The noise-MTOW debate remains a key stumbling block to maintenance of the growth curve in business aviation activity in Australia that has seen the number of business jets on the national scene double in the past decade. The ABAA now boasts 33 members with a majority focus on business jets – “about 120 based in Australia and 180 operating in Australia overall,” Bell said. Operators include private companies, family companies and “high net-worth individuals,” Bell said. At the other end of the scale there has been stability in the turboprop market with 350 to 400 aircraft, and steady growth, too, in the mid-range and small jet markets, though Bell pointed out the emphasis is on pre-owned rather than new types across multiple manufacturers. That is a point supported by Captain Manfred Baudzus, Embraer Executive Jets Senior Sales Director, Asia Pacific. 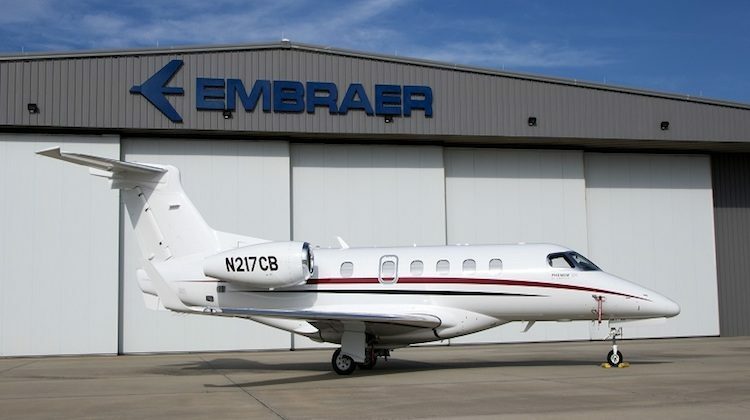 In an interview with Australian Aviation in September, discussing the growing popularity of Embraer’s Phenom series (with six currently in country: three 100s and three 300s), Baudzus said he was receiving a lot more inquiries about pre-owned aircraft. “Australia tends to be a pre-owned market,” he said. 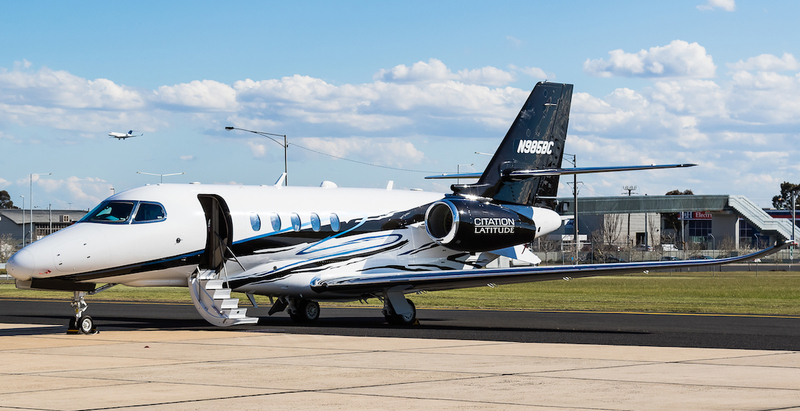 But it is the larger, heavier business jets that are attracting most attention when it comes to debate over activity at the key Sydney and Essendon hubs and why, Bell said, he regularly has to field calls from frustrated manufacturers. “Gulfstream, Bombardier, Embraer and a few others … they all want to know what the problem is over here; what we are not doing correctly,” he said. First to Essendon, where a resolution one way or another appears imminent after the closure on August 31 of the extended consultation period on proposed amendments to the Air Navigation (Essendon Fields Airport) Regulations 2001. According to the Department of Infrastructure, Regional Development and Cities, which has oversight of a wide range of aviation activities including noise and curfews – the issue is now being considered ahead of advice to the Minister in charge, Deputy Prime Minister Michael McCormack. Under review are proposals to lift the permitted weight limit for jet aircraft from 45,000 kg to 55,000 kg for operators during non-curfew hours, then to remove the ability of non-emergency helicopters and propeller driven aircraft to operate during the post-11pm curfew, and finally to allow jet aircraft which meet strict noise criteria to land during the curfew period. In opening consultation on the Essendon review last year, the department acknowledged Essendon is the only key airport in Australia imposing a weight restriction on operating aircraft during non-curfew hours, as well as a total ban on business jets landing during curfew hours. Bell said the ABAA submission to the review focused on two key aspects: increasing the MTOW at Essendon from 45 to 55 tonnes, and easing restrictions to allow certain business jet operations between the curfew hours of 11pm to 6am. Lifting the non-curfew MTOW is considered vital in allowing regular intercontinental-capable corporate aircraft such as the Bombardier Global Express 7500 (48,194 kg) the 8000 (47,536 kg), and Gulfstream’s 650 (45,177 kg) and 650ER (46,992 kg). It would also allow for RPT services using aircraft such as the Boeing 717 (54,884 kg). 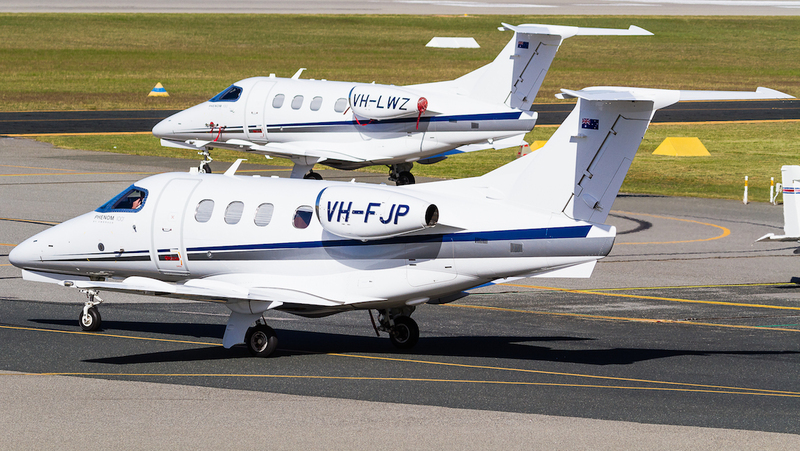 “Allowing these newer, quieter business jets to operate at Essendon Airport would attract both regional passenger services and business aviation with newer, larger jet aircraft,” the paper said. It is a proposal supported by Essendon Airport management. According to Bell, there is some optimism on the Essendon pre-curfew weight issue, but less so about operations after 11pm. He said he was not overly optimistic about the curfew situation because of community opposition “even though that doesn’t make sense because our airplanes are quieter than a lot of the aircraft that operate during the curfew like the emergency helicopters and some of the turboprops. That said, Bell acknowledged the 11 pm curfew is “not too bad” for some when it comes to Australian corporate traffic. “It’s not too bad for people based in Melbourne. They can still get home after doing business interstate at a reasonable hour. It is workable. If Essendon is a recipe for frustration, then the ABAA sees the business aviation noise debate allied to the Sydney curfew as innately illogical, anchored as it is in a weight limit imposed more than 20 years ago and subsequently lacking in relevance to more recent business types. Bell explained that when Federal Parliament ratified the Sydney Airport Curfew Act in 1995, the largest business jet in general use was a Gulfstream IV with an MTOW of 33,800kg. “So they said ‘we will draw the line at 34 tonnes’. “It was an arbitrary thing that is now totally obsolete, but try to change it … the Government is very stubborn. The ABAA is now working with both Sydney Airport Corporation and colleagues at the Regional Aviation Association of Australia, with members who operate jet freighters at night, to try to achieve change. “We are aiming to raise the weight, even though that should not be relevant when it’s about noise, or lack of it,” Bell said. “We will get another crack with a submission in the first half of 2019 when there is a sunsetting clause in the Sydney Airport Act. We will be zeroing in on the fact Chapter 4 ICAO-approved aircraft are quieter than many that are approved already; that weight doesn’t matter. It shouldn’t come into it. Examples of intercontinental business aircraft precluded from the current curfew rules in Sydney include the Gulfstream 500, 550, 600, 650, and 650ER, the Global 5000 and 6000 and – at the top corporate end – the Embraer Lineage 1000E. “The department is aware of our position but the problem is that the politicians involved and the Sydney Airport Community Forum are very strong voices,” Bell said. As an example of the contradictory inputs to the debate, Bell pointed to a session at the October RAAA conference on the Gold Coast led by Aircraft Noise Ombudsman Narelle Bell. She told the conference that most of the noise complaints about Sydney Airport now come from further out, such as Burwood and the Hills district. “The irony from our point of view when it comes to noise after the 11-6 curfew is that those suburbs wouldn’t be affected anyway. We are restricted to taking off over water and landing over water, even under the 34 tonnes limit,” Bell said. “When you takeoff to the south over Botany Bay you then turn left so no one hears you. When you come in, over Kurnell as a rule, the airplanes are so quiet on approach literally you can hardly hear them. Curfews also operate at the Gold Coast and Adelaide, though Bell accepts traffic potential at these two ports during curfew hours is minimal. The ABAA noise-weight controversy and association statistics showing incremental growth in the national business aviation sector comes against the backdrop of global predictions pointing to, at worst, a stable purchase environment in the Asia Pacific. The 27th annual Honeywell Global Business Jet Aviation Forecast, released in October, projects 7,700 new aircraft deliveries worldwide worth $US251 billion from 2019 to 2028, up one to two percentage points on the 2017 10-year forecast. An estimated 61 per cent of projected global demand will come from North American operators over the next five years. New jet purchase plan levels increased one point in North America, the industry’s largest market with 65 per cent of the installed base. 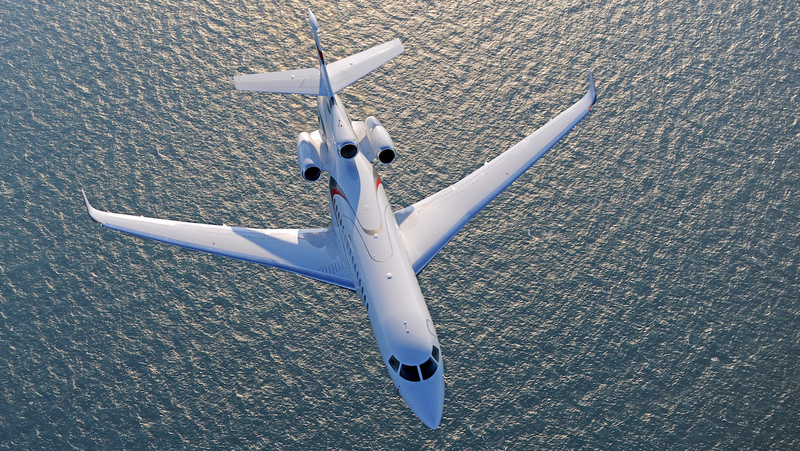 To gather its results, Honeywell conducted interviews with more than 1,500 business jet operators worldwide and said the survey sample is representative of the entire industry in terms of geography, operation and fleet composition. Bill Kircos, vice-president, Global Marketing, said that a better used-aircraft market, coupled with the entry into service of many new business jet platforms, will lead to higher deliveries in 2019 after a virtually flat year in 2018. Honeywell said that despite geopolitical and regional tensions, purchase plans were stable in the Asia Pacific region, down just one percentage point from last year. Based on the expressed level of purchase plans, Asia Pacific would represent close to a seven per cent share of global new jet demand over the next five years. Other highlights include the forecast that, globally, operators plan to make new jet purchases equivalent to about 20 per cent of their fleets over the next five years as replacements or additions to their current fleet, an increase of one percentage point on 2017 survey results. Of the total purchase plans for new business jets, 14 per cent are expected by the end of 2019, while 16 per cent and 24 per cent are scheduled for 2020 and 2021, respectively. In an echo of ABAA concern and motivation, the Honeywell survey said that operators continue to focus on larger-cabin aircraft classes, ranging from the super mid-size through ultra long-range, which are expected to account for more than 87 per cent of all expenditures of new business jets in the next five years. VIDEO: A promotional video on the Praetor business jet line up from Embraer’s YouTube channel. The aircraft was launched in October 2018. 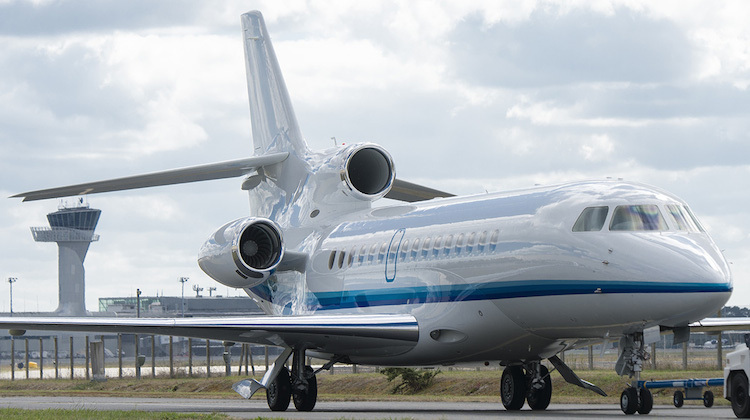 The Australian arm of global business and charter operator ExecuJet is based in Sydney and, according to Bell, operates more business jets in Australia than anyone else. 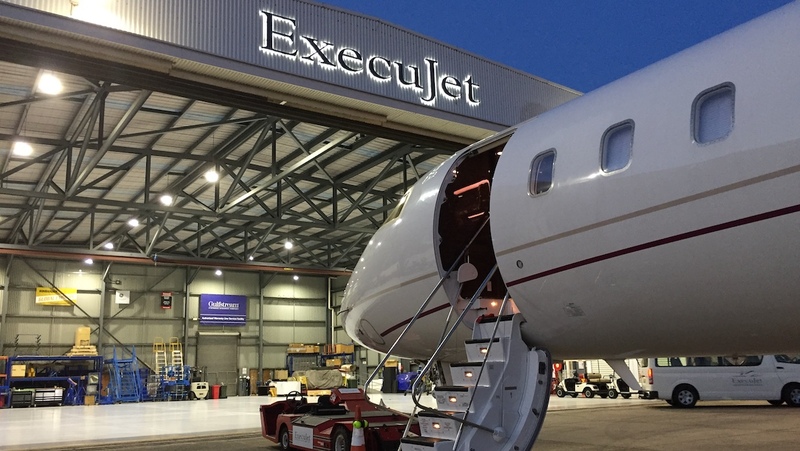 In a recent Australian Aviation article, Grant Ingall, maintenance director Australasia for ExecuJet, said he was optimistic about the future for business jet and charter operations. ”Growth has been steady,” he said. “The industry is seeing lots of pre-owned business jet sales and lots more are coming into the country. Business and corporate jet ownership is getting rid of that “tall poppy” reputation and, as more people fly around in these types of jets, usage is becoming more accepted. The developing focus on longer-range types and the issue of Australia being particularly strong in the pre-owned marketplace are sentiments echoed by Jean-Michel Jacob, the president of Dassault Aviation, Asia. The updated Asia Pacific Bizjet register shows 14 Falcon aircraft, from the enduring Falcon 20F to the contemporary Falcon 7X with a range of 5,950 nm (11,020 km). Jacob said that after a really good start to the year with a positive sales outlook, Dassault was seeing the affect in China of the Trump administration-inspired trade war. On the flip side, other countries in the Asia Pacific stood to benefit with the movement of investment. “Overall (the Asia Pacific market) is neither good nor bad, just a mix of the two. It could be worse; it could be better,” he said. It is a similar picture in Australia: “The country is buying aircraft. We have business, but the market is hard to describe. It is related to the value of the currency and the Chinese economy not going so well. “It is very true, though, that Australia is (looking to) more long-range aircraft due to its positioning, 20 hours away from Europe and 15 away from the US. Jacob said that while the 7X and 8X had garnered such positive attention, he was also happy to promote smaller aircraft pitched at the strong Australian pre-owned market. The ultimate objective is to move a customer from a pre-owned Falcon to a new aircraft. Looking forward to 2019, there are further challenges in store for the business aviation sector in Australia linked to CASA regulations 135 and 121 that Bell said will have a major impact on some of his members with air operator certificates. “AOC holders operating aircraft over 8,600kg and with more than nine passenger seats will be negatively impacted. They will have a lot more requirements imposed upon them. CASR 121 will treat them as if they were operating an airliner. Bell bemoaned the fact that the new regulations will further remove Australia from equivalent FAA rules. “People say we are harmonising, but we are not,” he said. On the plus side, there have been positive signs towards a resolution of problems associated with off-terminal processing of international business jet arrivals at Perth Airport, described previously by Bell as the worst of its type in Australia. Australian Aviation reported last year that Australian staff shortages among the Australian Border Force (ABF), the government agency tasked with processing international travellers, meant Perth off-terminal processing had been virtually non-existent. Instead, arriving business jets were forced to taxi to the international terminal to join other international passengers and crew for processing. Bell said the issue was now well on the way to being resolved. “We had more meeting with border force and agriculture (over quarantine) and Perth Airport management in May. “What’s happening now is that the FBOs who would handle foreign movements in and out are being audited by Border Force. There are plusses, too, in the area of pilot recruitment with six start-up business/charter operations registered in the past two years while the overall industry battles with the issue of pilot shortage. In the discussion earlier this year, Bell said that, in the main, the new entrants are operating intercontinental-capable business jets. “Apart from, say, the occasional Citation type capable of single-pilot operation, the majority of aircraft under the ABAA remit are two-pilot. And when trans-continental or intercontinental flights are involved, that means a need for crew backup. Bell gave an illustration: “When they are going overseas they either carry a third pilot with rotating rest periods, or pick up their own crews on the way. For example, look at a typical trans-Pacific flight: Sydney-Honolulu-New York. “There might be a fresh crew available in Honolulu. The replaced pilots might sit in Honolulu for a few days. If the aeroplane is coming back, it works well because they can swap over again, or – if required – the original crew might fly to somewhere else to meet the aircraft. In terms of recruitment, Bell said that, to his knowledge, the usual track was via pilots already involved in charter, the military, and maybe regional airlines. “I also know several guys who came though from the ranks of flying piston engine aircraft in outback Australia,” he said. One plus for pilots outside the airline mainstream has to do with attitude and experience: “Airline pilots will occasionally get into business flying, but the general feeling in the industry is that it is better to have a much broader experience than purely airline,” he said. VIDEO: A look at the Falcon 6X that was launched in 2018 from the Dassault Falcon YouTube channel.